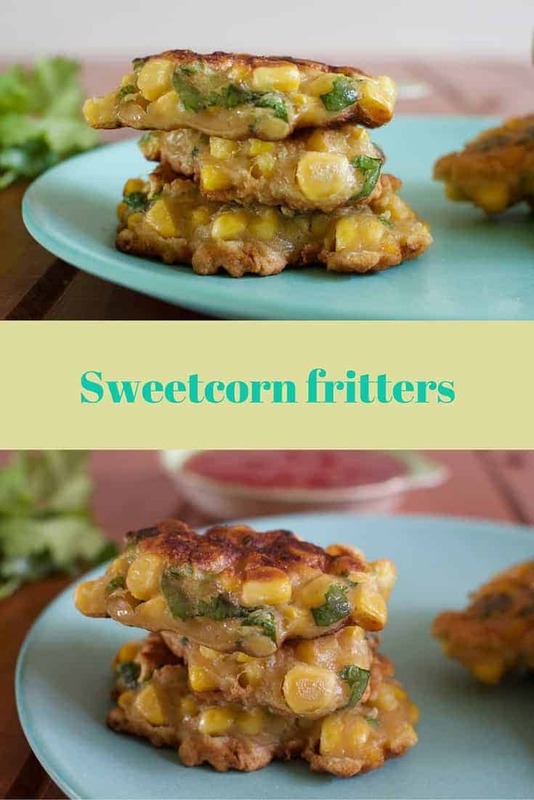 Fritters are so underrated in a lunchbox, but for us they are one of the best ways to get some extra veg into the lunchbox. 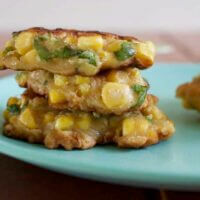 Served hot or cold, you cant lose with a fritter, pack them with veggies and you’re onto a sure fire winner. 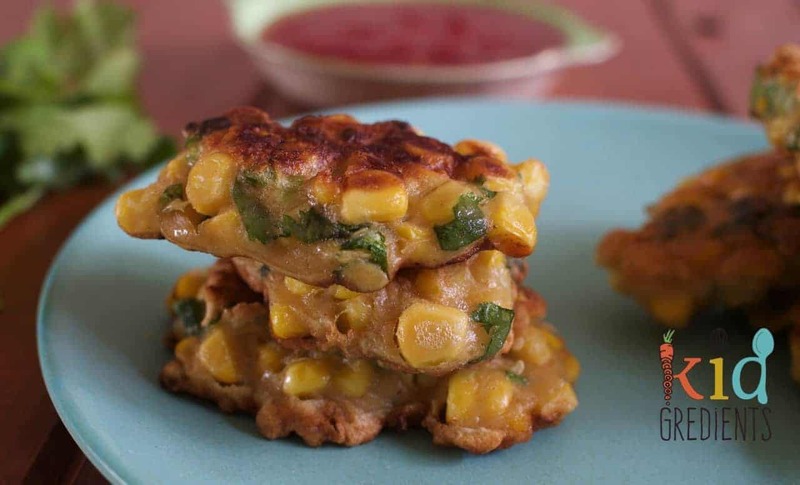 The key to lunch box fritters is to make them smaller than you would for an entree or side dish because you really want them eaten. 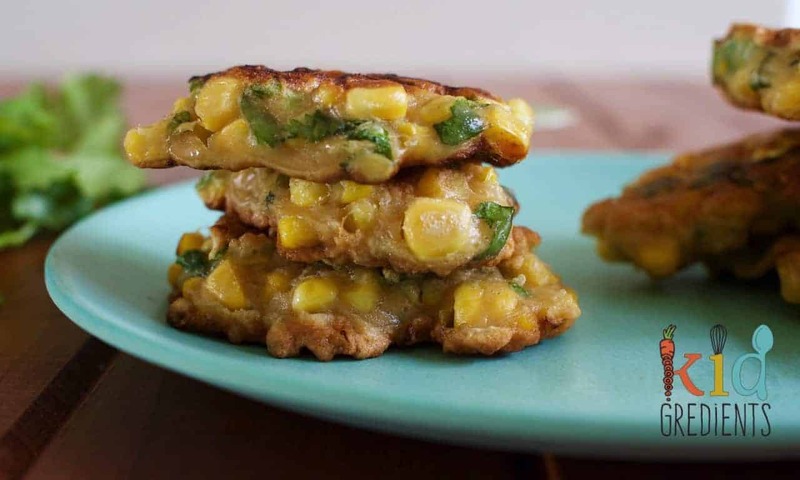 The other key is freezing- you need to be able to freeze anything that is being lunchboxed, so it’s important that your fritters are able to be frozen and defrosted. But today’s fritters quite literally take the cake. 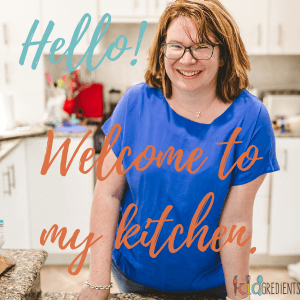 They are awesome as a side dish, vegetarian, gluten free and are dairy free too, so perfect even for those with allergies and intolerances. Now, if you think you’re kids won’t go for them…Miss 5 ate 4 and Master 3 forever the fusspot ate them no problems- 3 of them! That says to me they are completely kid friendly. Combine all the ingredients except the water in bowl, mix together. In a frypan over medium heat heat the olive oil. Add tablespoonfuls of the mixture to the frypan. If you're doing for lunchboxes use teaspoonfuls. Drain on paper towel after frying and serve hot or cold. Delish with sweet chilli sauce. Yum yum. so going to make these. Thanks. Yummy! Definitely making these. Thanks. Please do! And pop some photos up!